When Justin's older brother, Kyle, is killed in Afghanistan, Justin can't believe that his brother is really gone. 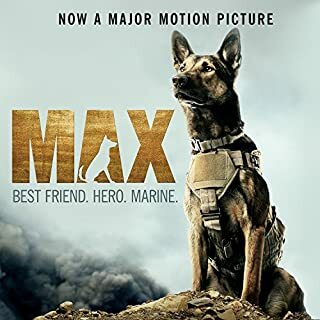 Except there's one thing that Kyle left behind.... Max is a highly trained military canine who has always protected his fellow soldiers. But when he loses his handler and best friend, Kyle, Max is traumatized and unable to remain in the service. Max is sent home to America, where the only human he connects with is Justin, and he is soon adopted by Kyle's family, essentially saving his life. Good for my 9yo son. Hero, a retired search-and-rescue dog, is not prepared for a stray puppy to come into his life. But when he and 12-year-old Ben find Scout injured and afraid, the new addition leads them down an unexpected and dangerous path. When Scout goes missing, it's up to Hero to use his search-and-rescue skills to find Scout and bring him home. But Ellie must do more. Her handlers - widowed Jakob, lonely Maya - need her, too. People can be lost in many ways, and to do the job she was born to do, Ellie needs to find a way to save the people she loves best. 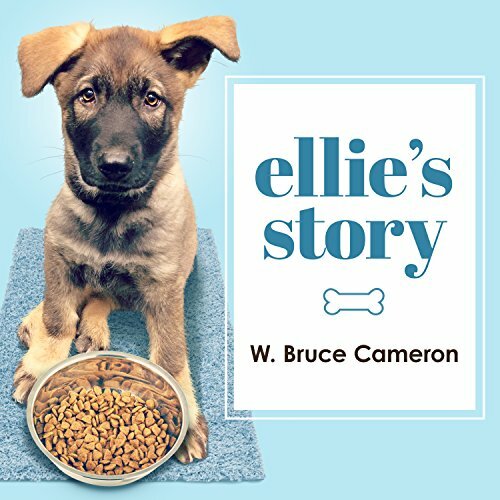 Adapted from the beloved New York Times best-selling novel A Dog's Purpose, Ellie's Story is an inspiring tale for young animal lovers. SPOILER ALERT! While I loved the story "A Dog's Purpose" this is just basically a rehash of the story of Ellie and her training to be a search and rescue dog. Only buy this book if you are afraid of how your kids will react to the death scenes in "a Dog's Purpose". There are no dogs dying in this book, but Ellie does find some bodies in an earthquake area. The way it is listed here, you are made to believe this is actually a continuation of the series, but it really isn't. I would have listened to "A Dog's Purpose" again if I'd known this was simply going to be an excerpt from that book. I'm expecting "Bailey's Story" to be pretty much the same. 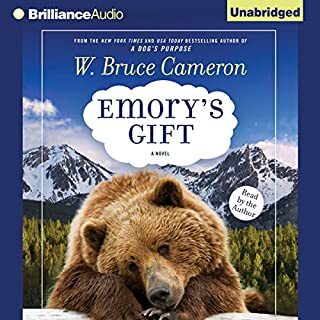 One reviewer on Amazon didn't like the narrator, but I thought she did a great job of sounding like a puppy and then sounding less so as Ellie got older. 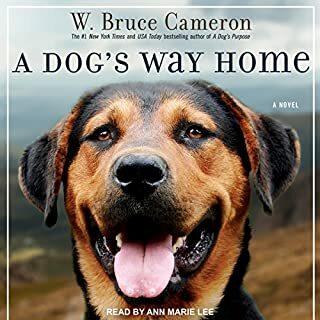 It was not bad, but I got the "been there, done that" feeling while reading this book, and actually wondered if they had simply re-labeled "A Dog's Purpose". It's kindof like a recording artist putting out another album with most of the same songs as their first successful album and riding the waves of that first success while disappointing fans with nothing new. Again another great listen. Excellent interpretation of a dog's perspective. The narration brought considerable emotional content to the story and made you feel you were right there. probably the best of all his books! I just love it 5 stars yeah yeah! 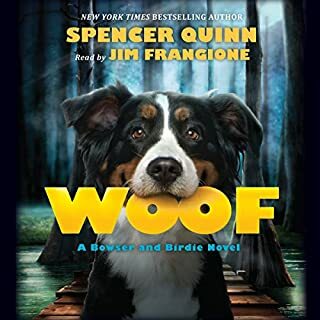 This is our first audiobook as a family and it was a great one to introduce to the kids (13, 11, 10, 9 year olds). 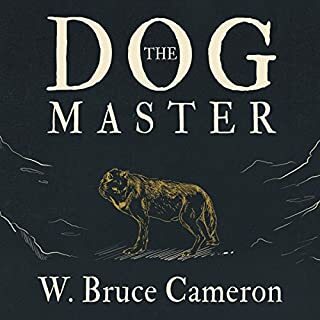 Anyone that loves dogs should get this book. I loved it! It was one of the most best books ive read at all in my life! What a great narrorator must i add too. 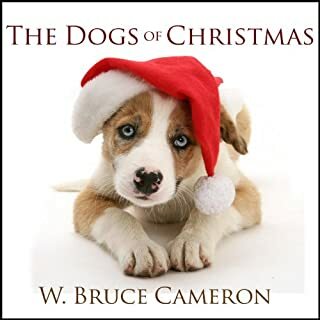 Thank you W. Bruce Cameron! !